A new chromatographic method developed by Waithaisong et al. 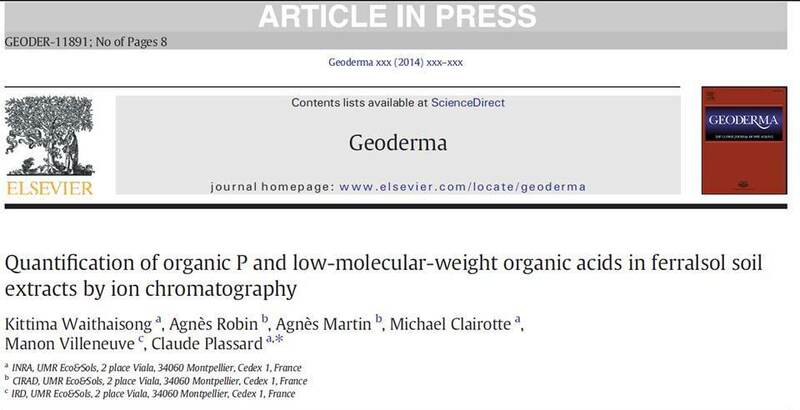 (2015) was shown to suitable for the quantification of organic P and LMWOAs in soil samples. This paper was sent to me as part of a personal e-mail response from Dr. Claude Plassard to the previous post asking help on HPLC-Po method. This entry was posted in Questions, Research and tagged Organic phosphorus. Bookmark the permalink.